The Battle is the Lord's - A Play by the PPFC Hunger and Thirst Drama Group | ComeSeeTv Broadcast Network ... Can you See me Now! The most exciting place to be at 7pm on the night of the 14 and 15 of April is at the Arawak House of Culture. The PPFC Hunger and Thirst Drama Group will bring the stage alive with a demonstration of how the Lord is able to take ones pains, sorrows, depressions and defeats and turn them into joy, peace and victory! 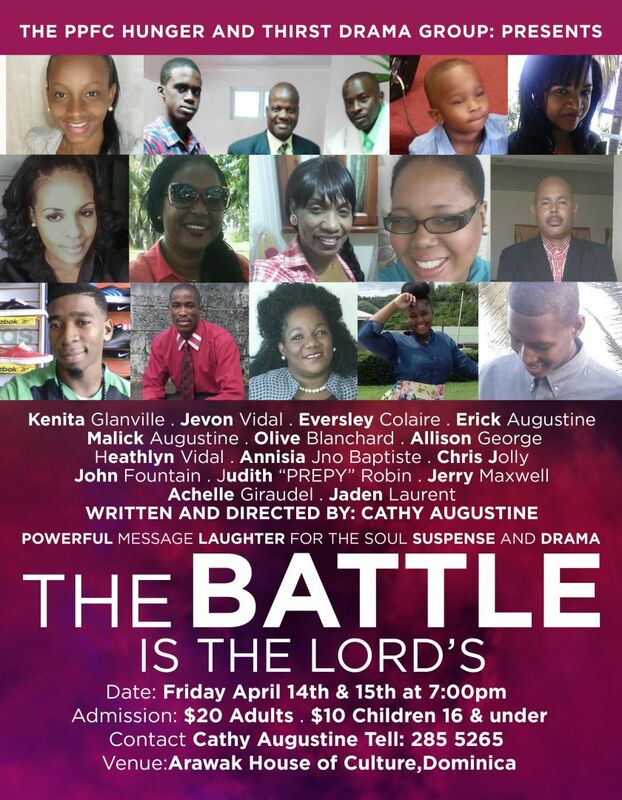 The Battle is the Lord's...A play written and directed by Cathy Augustine. It promises to have an inspirational message with great laughter, lights, suspense and drama.